If you’re not a Ticket to Ride player yet, or if you have a friend you’ve been meaning to invite to join the Ticket to Ride world, now is the time to do so: for a very limited time, Ticket to Ride for Apple, Google and Amazon is 60% off its original price! Hurry up and jump on the train! Today Splendor got an update which includes the Macau Challenges Pack. This new pack introduces a new challenge mode, which involves capturing some specific cards on the board. If you ran out of Challenges or just want to add a new way of enjoying your games, make sure you update your app! If you don’t own the app yet, Splendor is an addictive strategy turn-based card game, where players assume the role of wealthy Renaissance merchants, exploiting mines and caravans, hiring craftsmen and leveraging their influence with the nobility. Discover the new version of Ticket to Ride now! 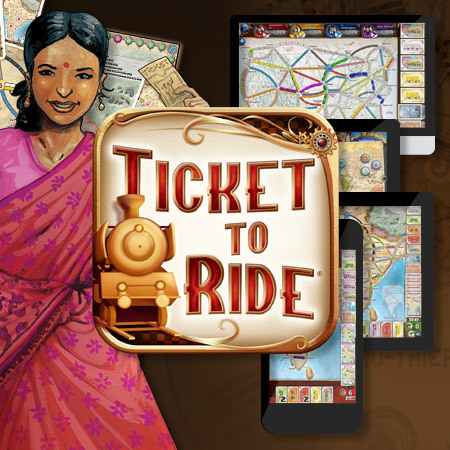 The new version of Ticket to Ride brings a new cross-platform multiplayer mode and for the first time a vertical map India. Good news for the existing users of Ticket to Ride: you can upgrade your existing game for free and benefit from all new features of Ticket to Ride. Say goodbye to Ticket to Ride Europe Pocket and download Ticket To Ride Pocket for free! Ticket to Ride Europe Pocket will be removed from the Apple appstore in a few days. Players will be able to use the app though but it will not be updated anymore. 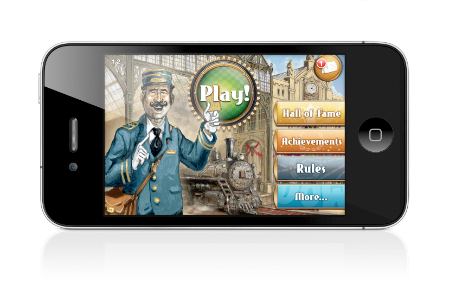 But the good news is you can download Ticket To Ride Pocket for free! We encourage all players of Ticket To Ride Europe Pocket to get the US map version now. Last but not least we have prepared a surprise which we will disclose at the end of this month. Splendor is now Steam Powered! Today Splendor makes its debut on Steam, the world’s most popular PC gaming platform. Splendor is an addictive strategy turn-based card game, where players assume the role of wealthy Renaissance merchants, exploiting mines and caravans, hiring craftsmen and leveraging their influence with the nobility.